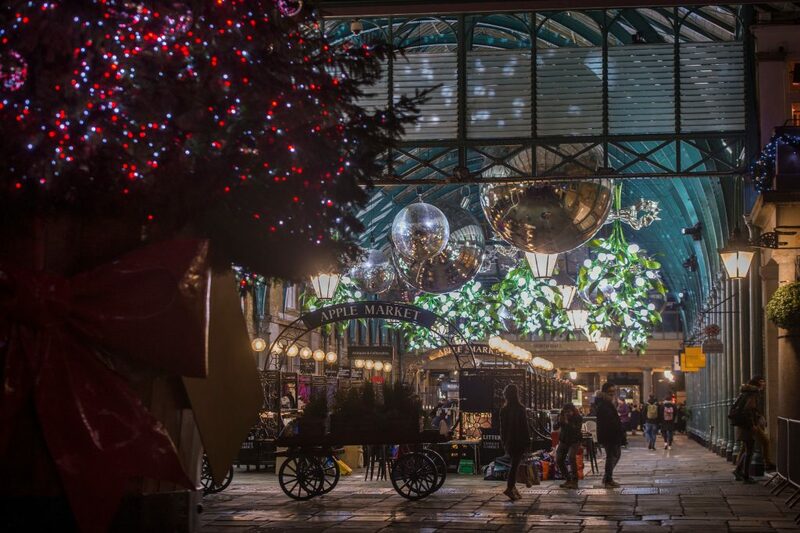 Over 100,000 lights will illuminate the Covent Garden Christmas display. 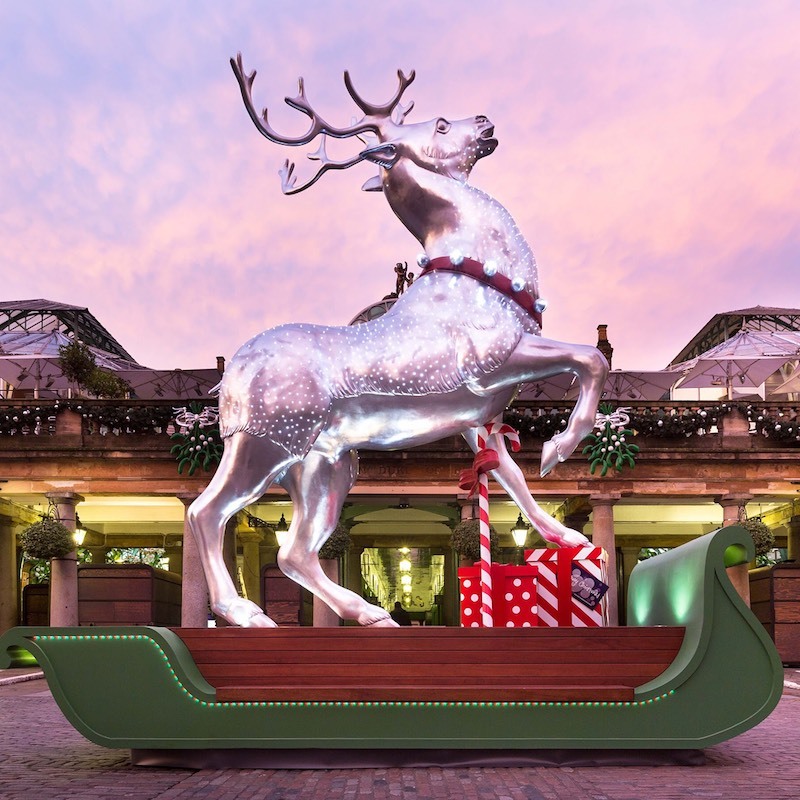 The piazza’s giant mistletoe chandeliers are back for another year, and Covent Garden are adding an ‘infinity chamber’ light installation, which sounds pretty sweet. Overall, 115,000 lights will bedeck the piazza, and their giant reindeer, a firm favourite last year, will make a triumphant return. No longer charged with pulling the sleigh, the reindeer prances proudly atop it, bringing Christmas cheer to the good people of London. 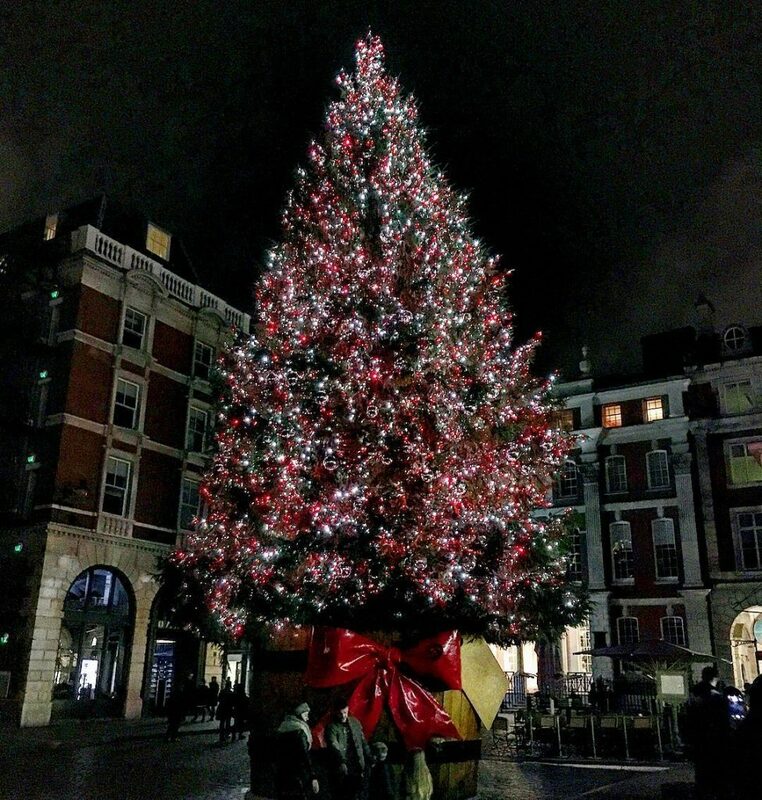 Meanwhile, a humongous Christmas tree completes the decorations – it’s London’s biggest hand-picked Christmas tree, and stands at a whopping 55 feet tall. It’s festooned with 30,000 lights and a metric fuckton of baubles, seemingly aspiring to be seen from space. If you head down there on switch-on night, The Kingdom Choir – who rocked Harry & Meghan’s wedding earlier this year – will be launching into powerful renditions of classics like ‘Stand By Me’. The cast of Matilda the Musical will be warming up the crowd with a few songs, too. Expect to see a celebrity button-pusher (Kylie Minogue did the honours last year), but Covent Garden usually keep that under wraps until the actual event. 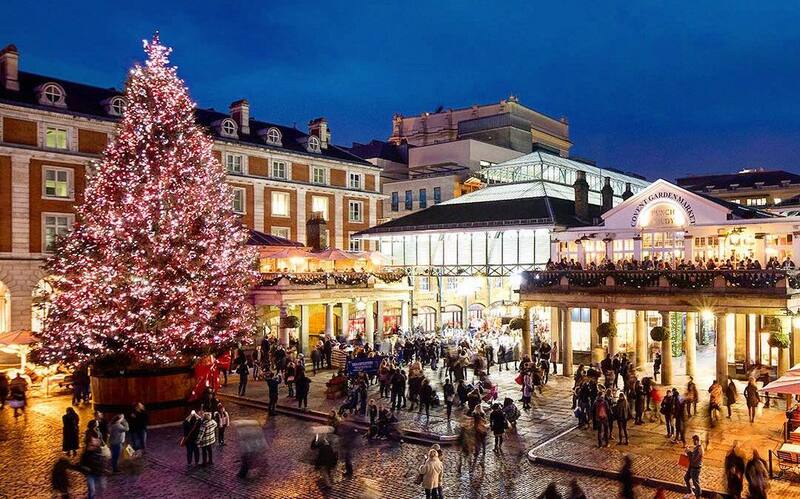 This year, the Covent Garden Christmas extravaganza will be supporting Crisis, a charity which works to end homelessness, so please do give generously when given the chance. Shops in the area will also be offering discounts and free tasters, with everything from wreath-making to mulled wine on the schedule. The celebrations begin at 5:45pm, so pop along and soak up the atmosphere – full details can be found on their website.